In case you have a forklift that we have not catered for, included in this range are four sizes of blank forklift split wheels, which can be machined to your specification, upon request. 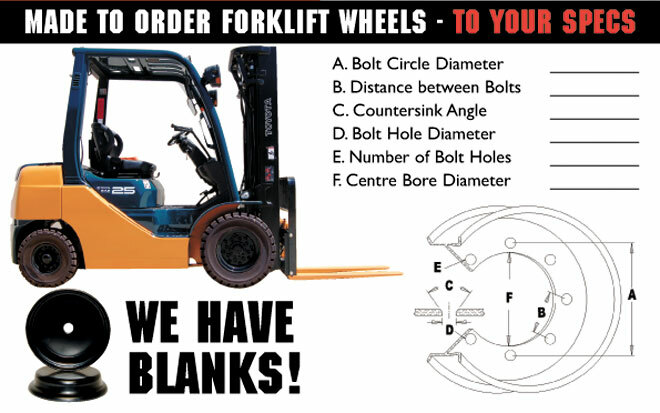 Simply measure and answer the six questions below and Mullins will make a wheel to suit your machine, using quality steel blank wheels, which will be machined to your specification. Assembly bolts are included.